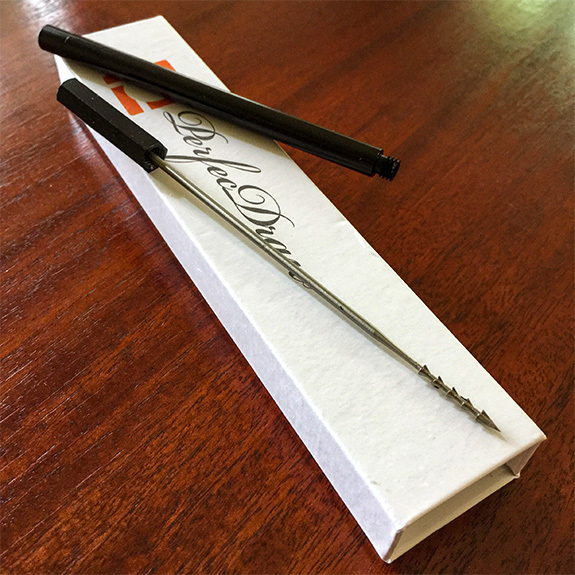 The PerfecDraw is a must-have tool for all cigar smokers. Plugged cigars are the bane of all cigar smokers. It’s frustrating trying to smoke a stick that won’t even draw enough air to light the foot; and this can happen to any cigar regardless of price, size, or point of origin. I’ve tried all kinds of tools to remove tightly bunched tobacco from a cigar that wouldn’t draw…small screwdrivers, shish kabab skewers, tooth picks, but nothing ever worked. Then I saw my friend Paul pull out this “thing”, and with one motion totally clear the draw of his plugged perfecto. I was gobsmacked! That “thing” he used is the PerfecDraw Precision Draw Adjustment Instrument & Nubber (aka the PerfecDraw). Of course I had to order one, and upon its arrival, was immediately impressed. The PerfecDraw comes in a box reminiscent of something you’d get from the Apple Store. It’s glossy white, with a magnetic clasp, and the tool within is nestled in a fitted foam slot. In your hand, the PerfecDraw feels heavy for its size. It looks like a narrow, high quality ink pen that has been fabricated from black anodized steel. The instrument itself is screwed into a sheath, and here again, the machining is impressive. Once the tool is removed, a set of gnarly teeth is revealed at the pointed end of a slender stainless steel rod. 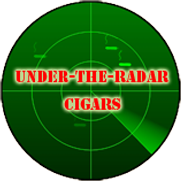 The PerfecDraw is designed to be inserted into the clogged head of a cigar, then gently withdrawn. In doing so it grabs just enough tobacco to create an air passage. It’s crazy how well this tool can open up the draw of a cigar while removing only a small amount of tobacco. Sometimes one insertion is enough, other times a second, deeper probing is needed to get a sufficient draw. 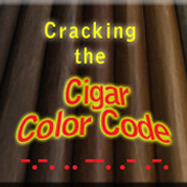 This is an easy process, and works every time; but you do have to be careful not to pierce the cigar’s fragile wrapper. Since buying the PerfecDraw, I have successfully unplugged a number of cigars. This has allowed me to enjoy my investment and never again worry about encountering a “brick”. That plugged Monte #2?…no problem; that tightly wound solomone?…piece of cake! We pay good money for cigars, and spend a lot of time and energy to keep them well conditioned. We have to baby our babies, and the last thing we want to deal with is a cigar that doesn’t draw. The PerfecDraw addresses an issue that has plagued cigar smokers for ever, and done so with a great design, solid materials, and nice packaging…and all at a price of about $30. I love this thing and wish I had known about it years ago. Joe: Both Paul and I own and use this tool regularly. It has saved more $$ in cigars than it cost!! Great item. Love this! And had no idea it existed. Thanks guys. I was just out for a stroll tonight on Google, and landed here. It’s funny that you mentioned the Monte #2, because it is the Cuban Monte #2 that caused me to create the instrument that then became the PerfecDraw. And here we are, not all that long after launching the company, and PerfecDraw was recently the winner of the top international cigar industry product award, The Cigar Trophy, for Best Accessory of 2018. The Cigar Trophy Awards Ceremony in Dortmund, Germany was amazing…red carpet and all. The crowd of 300 attendees was the virtual Who’s Who of the international cigar industry. All the top folks were there, and the reaction of the crowd when PerfecDraw was announced as the winner was fantastic. Never thought that I’d have a chance to get to know all the leaders of the cigar companies we love. But the topper of the night just had to be when Carlos Fuente, Jr. came up to me to congratulate me and gave me a huge hug. Even better, I didn’t even know someone was photographing the whole thing! Anyway, It feels great to see such enthusiasm. Rod, what a great story! The accolades are much deserved. I use the PerfecDraw often, even when I want to just tweek a slightly tight draw. Thanks for seeing this great and much needed idea through to fruition. Well done.